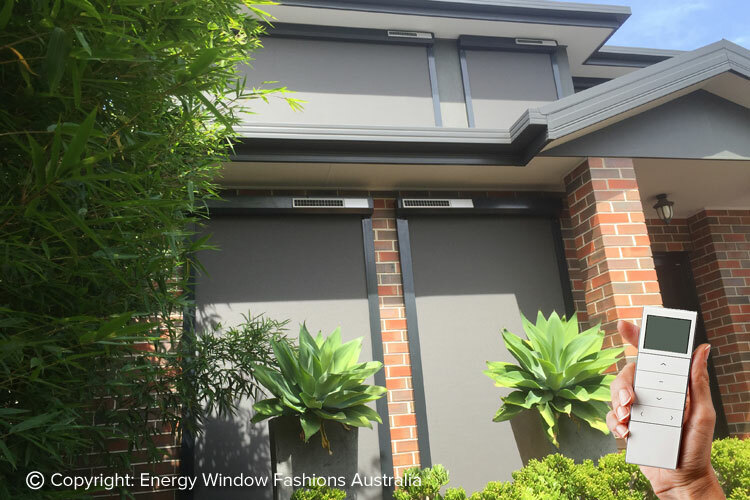 A number of benefits are associated with the addition of motorised window awnings to your home. Some of these include: no longer having to struggle with opening and closing stubborn window furnishings, a perfectly taut canvas every time you use the awning, and gentleness on the operating mechanism (which just doesn’t occur when operating them manually). We are also committed to offering competitive pricing for automatic awnings for decks, ensuring that this is an accessible option for every homeowner and every budget. When choosing electric awnings for sale, you will be spoilt for choice thanks to our extensive range. Choose from standard, straight drop, zip/channel and retractable varieties. We are committed to supplying a wide range of electric window awnings to ensure that your property and home is complemented. We also supply an extensive range of motors and remote control awnings to ensure that our customers are provided with a customised solution. Choose from traditional 240 volt hard wired, wireless battery and solar powered motors or hand held, wall mount and LED time programmable remote controls for awnings. Our online motorised awnings for homes can also be fitted with various sensors that will enhance your use of them. Rain sensors will automatically retract automated awnings when they sense water, whereas sun sensors will automatically open them when they detect a certain temperature. All of our electric awnings for houses are also fitted with a manual override crank, which will enable you to open or close it in the event of a blackout or even a motor malfunction. Not being able to open your remote awnings because the power has gone out is a real safety hazard that we seek to avoid.